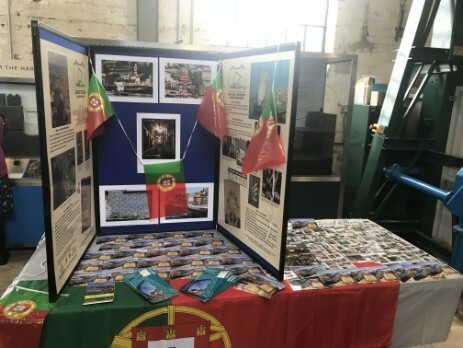 The Bristol-Oporto Association arranges a wide range of events on a Portuguese theme. New events are regularly added, so keep checking this page. Past events have included cinema, wine tastings, performing arts, jazz, choirs, fado, barbecues and quiz nights. Last night (13/04/19) we had our annual BOA dinner at the pleasant surroundings suppled by the Henbury Golf Club. A fine time was had by all on the 35th anniversary of the founding of our association. Chair Liz advised members and friends attending that it was on 1th April 1984 that our twinning agreement with Oporto was signed by the Mayors of both cities. Translated into years this means as a twinning we were 35 years and 2 days old and. It was good to see that we were still ticking over well. During those years we had made good and lasting friendships with many in our twin city. It is quite a wonderful thing to come to our twinning association through many and varied interests. The one area we particularly have in common is a great affection for Portugal and for Porto. Social events are popular and much enjoyed – we will continue to keep you posted of future events through emails and Diário our Newsletter. 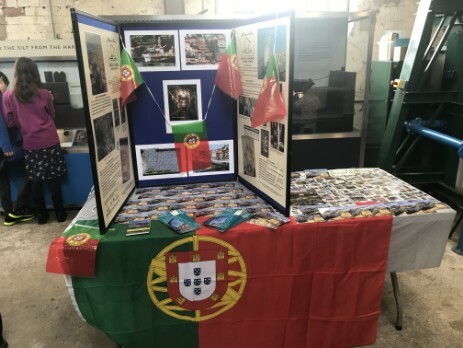 It is also worth mentioning that through fund raising and donations over the years we have supported and continue support a surprisingly wide variety of projects that are connected both with Porto and or Portugal. If you know or hear of any person or small group that could benefit from grant support – please do remember to let us know. A mention of Porto Quay on the Harbourside in the centre of Bristol. There is a sign close to the small elevated round lookout area near the cross ferry. On the opposite side of the Floating Harbour is the SS Great Britain. The area is currently in the later stages of its redevelopment and that and the old gas works site with its character stone buildings are looking pretty good. Important to add that during what has been a difficult year or two for this country with Brexit looming over us it would would be a good time to emphasise how much we have benefitted over the years from our good and special relations with our European friends. Never has it been so important to keep this alive. The evening was an opportunity for long standing members, friends and for a number of new members to meet up. Important as the twinning's biennial trip to Porto was coming up shortly this June. 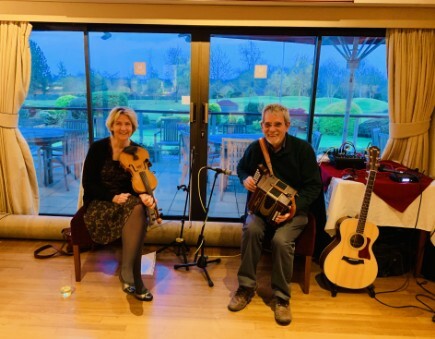 In the attractive surroundings of the Club House all enjoyed an aperitif of dry white or ruby port with background music provided by The Perfect Cure a duo of local musicians. An evening dinner combined with listening to traditional English, Irish and Scottish country. music. After much foot and finger tapping at tables a good number made it to the dance floor. A lively end to a very sociable evening. Membership of our twinning has grown over the past year as more get to hear of us. For anyone interested in or who has a connection with Porto or matters Portuguese now could be the time to come and join us. Bristol and its connections with the wine and port trades goes back many centuries. Locally Corsham court the home of the Methuen family came to prominenece due to the signing of the Methuen Treay signed 27 December 1703 (popularly known as the "Port Wine Treaty") This helped to establish trading relations between England and Portugal. The terms of it allowed English woollen cloth to be admitted into Portugal free of duty; in return, Portuguese wines imported into England would be subject to a third less duty than wines imported from France. This was particularly important in helping the development of the port industry. As England was at war with France, it became increasingly difficult to acquire wine, and so port started to become a popular replacement. Portuguese wines have enjoyed something of a rennaissance in recent years and some brands of good quality table wines are among best sellers with large importers. We hesitate to name them as stocks may dwindle as a result! As a twinning we often organise wine tastings when we can get to try the more less familiar wines. Bristol has of course a great history with the Taylor, Symington and Cockburn families in particular having connections with the city. 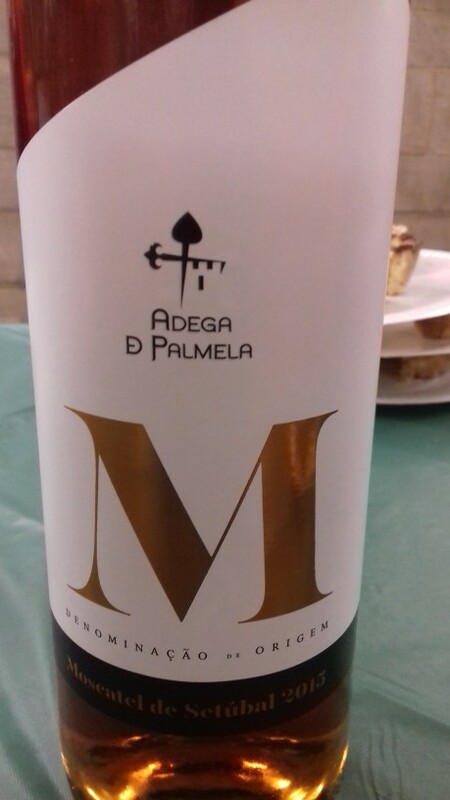 Several local independent wine merchants stock a wide variety of different Portuguese wines so there is always a good opportunity to try something different. On a mild November evening, members gathered in the Undercroft of St Mary Redcliffe for another entertaining wine tasting with Alan Wright of Clifton Cellars (www.cliftoncellars.co.uk). Fortunately, this time, forward planning by Liz had ensured that the occasion was not marred by the bell ringers choosing to practice on the evening! 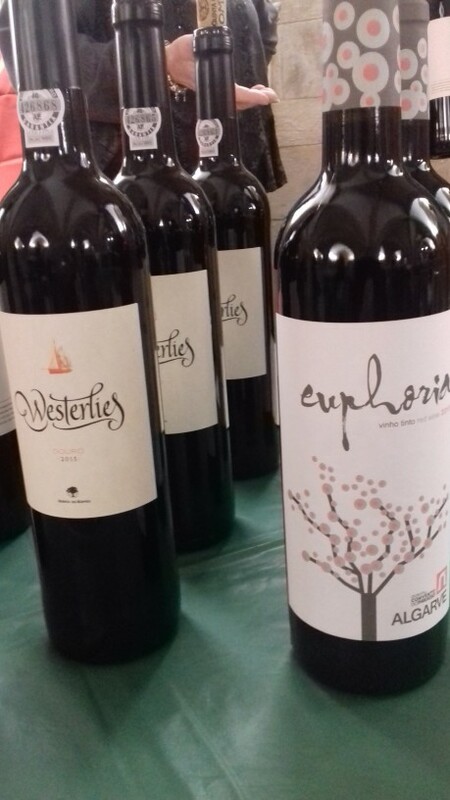 Alan brought along a selection of Portuguese wines from all over the country – delicious whites from the north and the east, rich, deep reds from north, west and south and a luscious, honeyed sweet wine from the coastal area close to Lisbon. Enjoyment of the latter was definitely enhanced by the accompanying Pasteis de Nata. As Alan said, these wines are still not as well known to British customers as they should be. 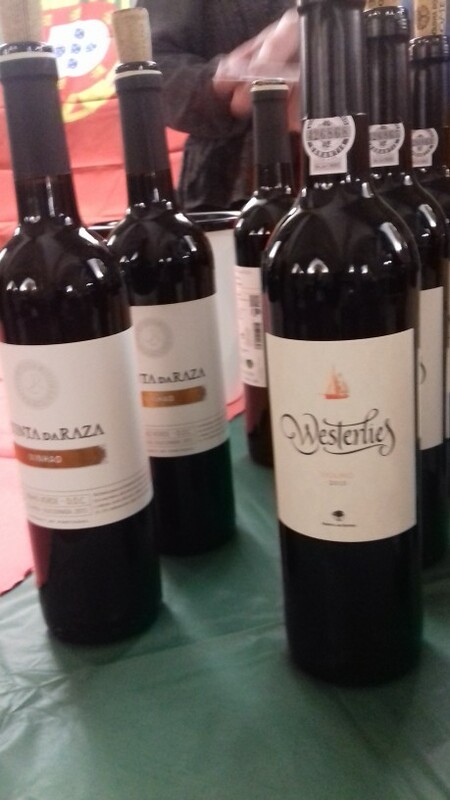 It’s always difficult to choose just one favourite but, for me, the star of the show was Quinta do Romeu’s ‘Westerlies’, a red wine specially blended for a voyage from Porto to Bristol in the century-old sailing ketch Bessie Ellen. Alan, along with several other members, had tasted some of the cargo the previous Sunday at Underfall Yard and was impressed enough to bring along some bottles for us to enjoy. 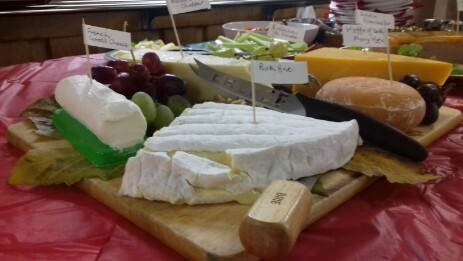 The evening concluded with the usual fantastic buffet from the wonderful in-house catering team and our grateful thanks go to them as well as to Alan and his wife. As a Twinning Association whose special links are with Oporto we were understandably excited when we heard the traditional sailing ship the Bessie Ellen was sailing from Porto to Bristol laden with port wine, olives and almonds just as in bygone days. Preparations were put in place to give her a warm welcome. The Underfall Yard where she was due to be moored had offered up space for the producers to display their goods and wines inside the Yard building among the historic pumping station exhibits. Anton Mann of Xisto Wines was much involved with the voyage and with the wines carried on board. He was keen to promote the small producers who transported goods in this way. In the event the ship was unable to finish its journey because of completely unforeseen circumstances. However this did not deter producers and visitors of which there were many who came to the Underfall Yard over the weekend of the 3rd and 4th of November. The surroundings were very atmospheric, much in keeping with the era of the ship. 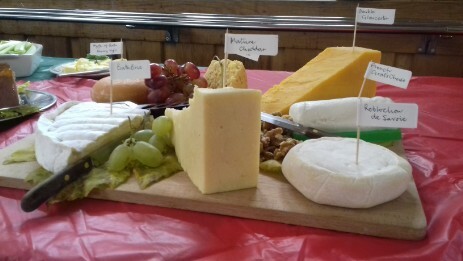 Colourful stands were set up by the small producers of the wines and other products on board. Wine tastings were popular both with the public and with members of the wine trade keen to find new suppliers. 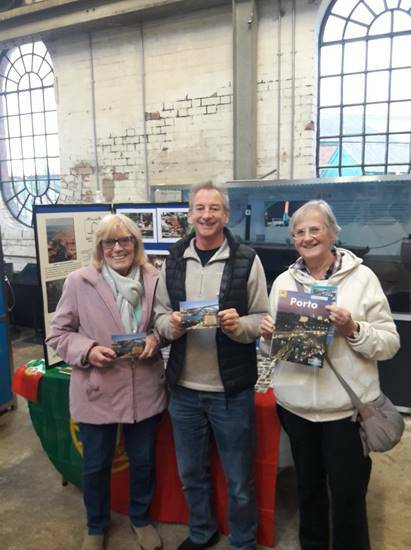 The Bristol Oporto Association had a stand inviting visitors to find out more about our twinning link and about the great trading history of Bristol with Porto and particularly with its port and wine trade. We had a great deal of interest over both days with many enquiries about our twinning link. There are few traditional sailing craft of this type still sailing and being used as a working ship. It is hoped this idea can be replicated in the near future and that we are able to say that Bristol’s historic link with the wine trade and with Porto is still alive and well today. An annual favourite and an opportunity to meet up with other members, BOA friends and family making it a very sociable occasion. 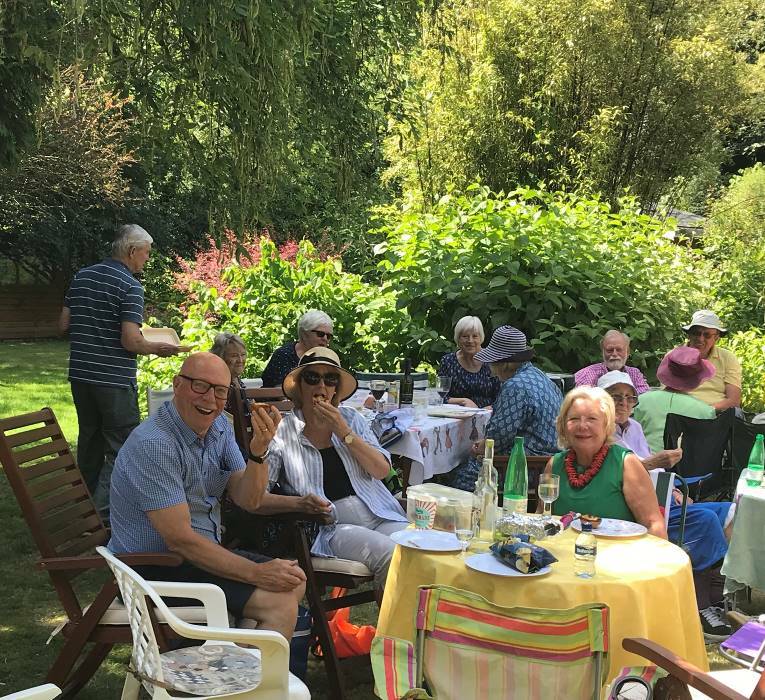 Any challenge on the weather front can be met, but this year the sun shone for us and everyone enjoyed the ‘garden games’ of croquet, boules and quoits with plenty of pasteis de nata on hand. Keep up with these events and others either here or on our Facebook page. THE QUIZ BUG - Not one but two quizzes this Spring! Our Association Quiz held at the Eastfield Inn, Henleaze attracted a good number who challenged themselves and on occasion our quizmaster over correct answers. 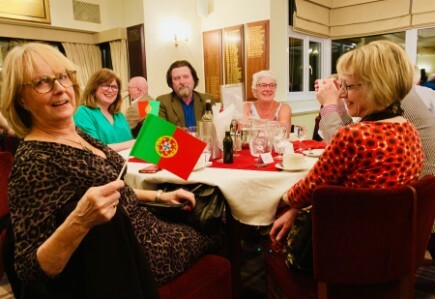 BITA (Bristol International Twinning Association) also held their annual inter- twinning quiz. We may not have won this time but we are proud to have been the only twinning to have fielded two excellent teams. SUNDAY 9th SEPTEMBER - TREASURE HUNT in Clifton starting from 2.00pm – further details to follow. TUESDAY 13th NOVEMBER 7.30pm Autumn Wine Tasting at the Undercroft St Mary Redcliffe Church. 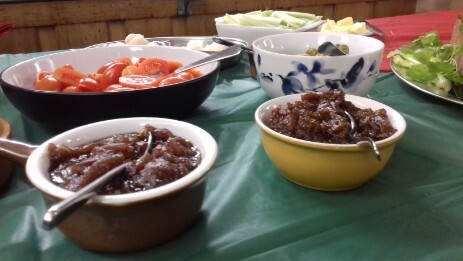 Portuguese Gourmet Dinner at the City of Bristol College Autumn Term. Date and details to follow. LOOKING AHEAD TO PORTO 2019 AND OUR NEXT BOA MEMBERS’ VISIT. Dates are Saturday 8th to Thursday 13th JUNE. A 5 night stay two centre stay in Porto and in Bragança. We first spend time in Porto staying in the heritage Ribeira area and visiting nearby Aveiro famous for its canals. We then travel to explore the area of north east Portugal staying in a hilltop pousada. The itinerary includes a visit to Miranda do Douro and Alfandega, a tour of Bragança, a Douro boat trip and a rosé wine tasting. Places will be reserved on the usual first come first served basis. Please let Liz Gamlin know if you are interested. The event was hosted by Alan, the owner of Clifton Cellars, one of Bristol’s best independent wine merchants. He brought along a selection of wines which truly showed how far Portugal has advanced since the days when it was only known for Mateus Rosé. Aklan has an excellent blog about wine here. The ‘Port O’Bristol’ is from a traditionally planted vineyard at the far eastern end of the Douro Valley. Produced by Ramos Pinto’s winemaker, this was brought over in barrel from Portugal in a sailing boat and bottled in Bristol. There’s a tiny production and this is the first vintage of a wine that is certainly a ‘work in progress’ at present but one that is worth keeping a close eye on. If you are interested in joining the Bristol-Porto Twinning Association, please go to this page, download the membership slip, attach a cheque and post it to the address on the slip. Following our recent presence at the Bristol Harbourside Festival, Paulette North of Ujima Radio (98FM in Bristol) invited us to an interview. Your webmaster duly appeared at the appointed hour on 29th September. The results can be heard on the Listen Again section on their website here. Search for Outlook with Paulette 1pm hour 2 of 2.
we managed to reach out to more people and to give an informative interview. As always, feed back to webmaster. 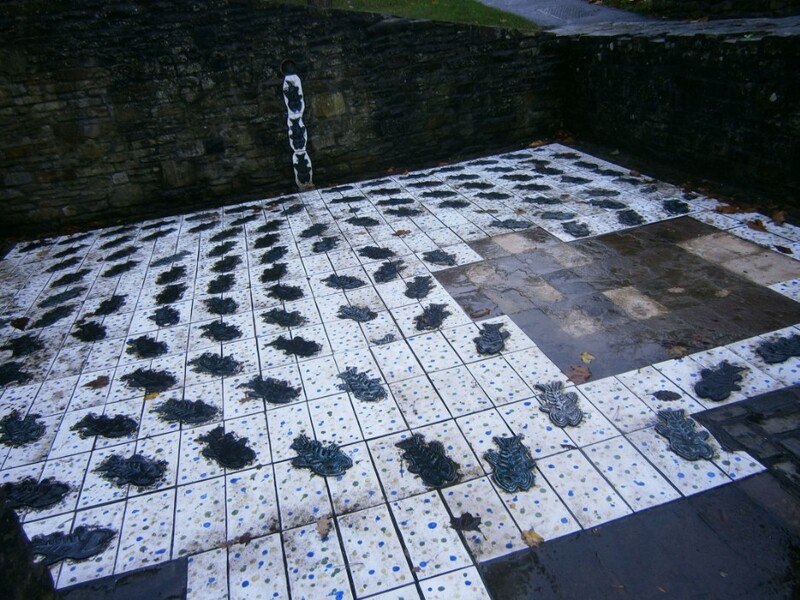 BOA chairperson Liz Gamlin and BITA co-ordinator Alix Hughes met with Dave Trigger, the Castle Park ranger on 19th November 2015 to discuss the situation regarding the Oporto ceramic floor. The ceramic piece of public art is entitled “only dead fish float with the current” and was created by Spike Island artist Vic Moreton in the famous traditional Ceramica do Douro factory in Oporto, after his design won a competition with artists from both Oporto and Bristol. The piece was unveiled in 1993 as part of the revamped Castle Park’s huge range of new public art. The Oporto ceramic has been lovingly repaired by Dave Trigger each time it has been damaged by weather or park users. Sadly it has now reached the stage of being beyond repair and the BOA is leading the discussion to have it removed and perhaps re configured on a wall along Oporto Quay. The BOA would like to hear your views on this. Please send your comments to the webmaster. 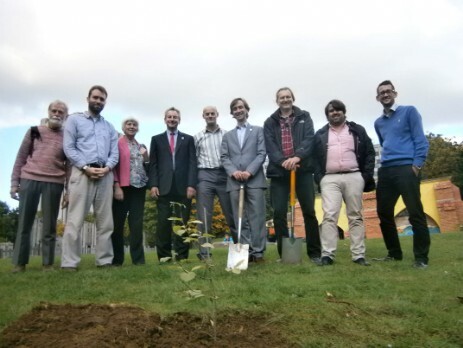 Representatives from the BOA joined members of the One Tree Per Child team and councillors from Oporto in Castle Park on 9th October 2015 to plant a tree. 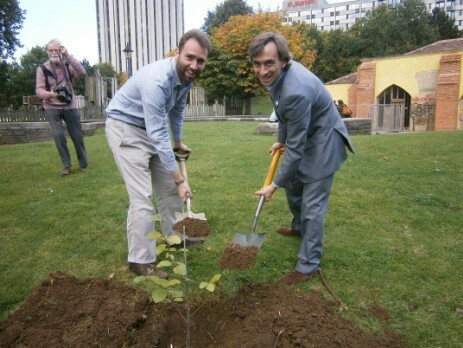 Deputy Mayor Felipe Araújo and Deputy Councillor Luis Assunçião from Oporto City Council were in Bristol to attend the Eurocities Environmental Forum and took time out to plant a Sorbus Bristoliensis. Twin city Oporto want to send us one of their Portuguese Oak Trees in the future and we will be sending another sorbus bristoliensis to Oporto for their National Tree Day in November. The sorbus bristoliensis only grows in the Avon Gorge in Bristol, and we are thus quite proud of it. The aim of the tree planting was to symbolise the growth of the link and to mark Oporto’s celebration of our European Green Capital Year. The idea originally came from a conversation in Oporto with Bristol City Council’s head of sustainability, Alex Minshull and the project was progressed by Alix Hughes from the BOA and Richard Ennion from the BCC parks team.